Krugerrands are one of the most well known gold bullion coins in the World. In Europe, they are more famous than US Gold Eagles. Krugerrands are 8.33% copper and 91.67% gold. As with the US Gold Eagles, Krugerrands come in four sizes, yet the fractional ounce Krugerrands are not generally accessible. More gold Krugerrands have been minted than all other types of gold bullion coins together, with in most accounts 42 million having been stamped following 1967. 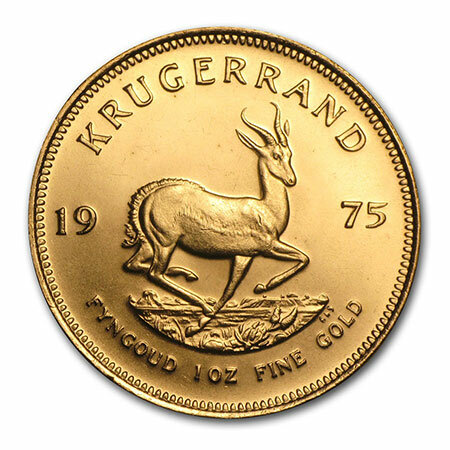 A large bulk of Krugerrands were minted in the 1970s and mid-1980s to take care of the demand as gold bullion purchasers ran to gold coins as insurance against rapid world inflation. The gold market is one of the most popular safe-haven commodity markets in the world. 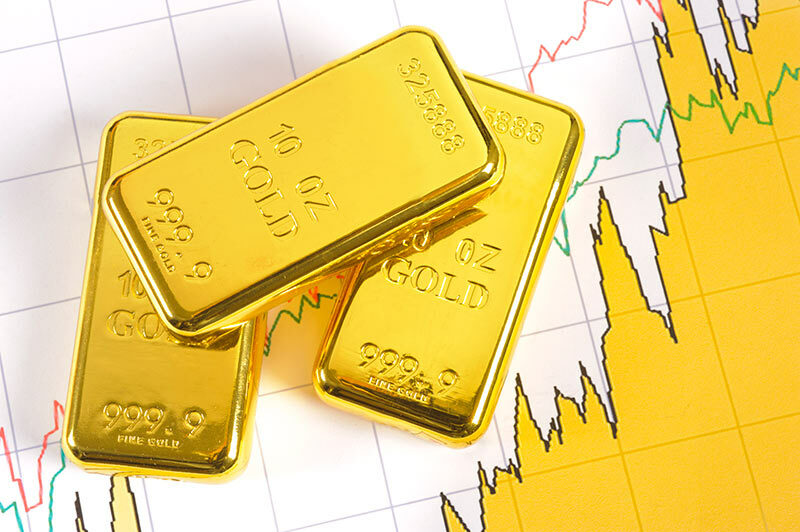 Investors who are reluctant to put money into the volatile currency market, or the fragile equities market, often turn to gold because it is a commodity that will always be in demand. Since it is a physical item, it will be valuable even if there is a global economic collapse. When you invest in gold, typically you are investing in either gold coins or gold bars. Krugerrands are one of the more popular types of gold coin – they are the second most popular coin in the US, and in Europe they enjoy greater popularity than the US Gold Eagle. In fact, a higher number of Krugerrands have been made throughout recent history than any of the other modern gold coins. A Krugerrand is made of 91.67% gold, with the remainder being copper. In theory, there are four sizes of Krugerrand: 1oz, Half-ounce, Quarter-ounce and tenth-ounce, however the fractional-ounce ones are rarely available and not as sought after as the full 1 ounce coin. There have been around 42 million Krugerrands minted since the coins were released to the market in 1967, with the majority of them having been minted in the 70s and 80s, when inflation fears were driving more and more investors towards gold. When the US Congress lifted the import ban on the coins in 1994, there was a massive influx of Krugerrands to the USA, however the coins did not manage to take over the market, since US Gold Eagles were already established as being the default and most popular coin for US investors. This means that US Gold Eagle prices remain higher, and the coins remain slightly more sought-after in the US. In Europe and the rest of the world however the Krugerrand is more popular. Krugerrands are the second most popular way of trading gold in the USA, and they have the most active secondary market – there are usually thousands of the coins changing hands every day, making them even more popular than gold bars. Gold bullion bars come in many weights from 1gram all the way up to 1,000gram bars. These bullion bars are more ideally suited to pure investors into the commodity who have no interest in the various coins for collectability, but are in the market more so for hedge and speculation purposes.